Bloomberg Periscope User Stats This is Bloombergs periscope stats website page. This is Bloombergs periscope stats website page. Bloomberg created profile on 2017-01-24 Time 18:21:16 and last update profile time is . 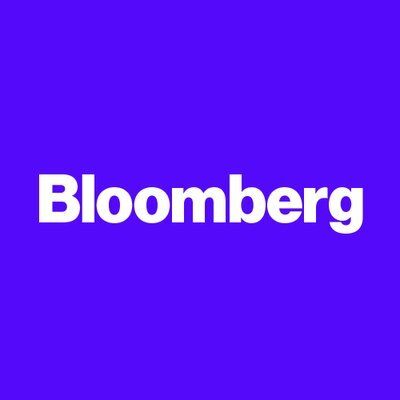 Bloomberg total followers is 26072 and Bloomberg total following is 6 . Bloomberg twitter nickname is business. Bloomberg is The first word in business news. Earnings Blitz on What'd You Miss? Tech Earnings on What'd You Miss? Tesla Hosts Investor Day on What'd You Miss? The Mueller Report on What'd You Miss? More Unicorn IPOs on What'd You Miss? Netflix Streaming it's Earnings on What'd You Miss? Productivity Growth on What'd You Miss? Big Bank Earnings Kick Off on What'd You Miss? Uber's IPO on What'd You Miss? Big Bank CEOs on Capitol Hill on What'd You Miss? Levi's Earnings on What'd You Miss? Pinterest Pinning Down Its Valuation on What'd You Miss? Jobs, Jobs, Jobs on What'd You Miss? China and U.S. Trade Talks on What'd You Miss? Facebook Records Found on Amazon Cloud Servers on What'd You Miss? Lyft IPO on What'd You Miss? Predicting A Recession on What'd You Miss? U.S. Eco Data on What'd You Miss? Yield Curve Inversion on What'd You Miss? Nike Earnings on What'd You Miss? U.S. and China Trade Talks on What'd You Miss? Tilray Earnings on What'd You Miss? The Cheap Money Era on What'd You Miss? Global Economic Outlook on What'd You Miss? Brexit and Boeing on What'd You Miss? U.K. Parliament Rejects May's Brexit Deal on What'd You Miss?